Ueshiba Morihei was enlightened with the philosophy of Aikido in 1925. Prior to his vision, he went through years of shugyo, or hard training, in different types of Budo such as Judo, Kendo, Kempo, Yagyu Shingan-ryu, Daitoryu Aiki-Jujutsu as well as continual spiritual elevation through the Oomoto-kyo religion. 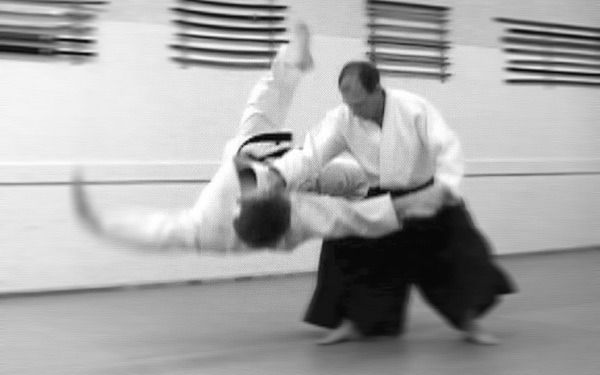 By introducing circular movements to Jujutsu, many of the dangerous locks and throws were eliminated. Perfect timing, hip power and blending with the opponent instead of direct collision were emphasized. In 1933, Shioda Gozo, a well known disciple of Judo, became one of Ueshiba Morihei’s first students and later uchi-deshi, or live-in apprentice. Due to the region’s tension at this time, Aikido training was tough and extremely rigorous. Depending on the time you study with a teacher, your outlook will be quite different from another student. As for Aikido, there was a continual process of enlightenment happening before, during and after the war. Of course age also affects this learning. Students from around the world came to study with Ueshiba at different times of his own heightened development, and this is one obvious reason that the style of Aikido varies from dojo to dojo. Aikido is difficult to master and truly exhibits the dynamic battle between ego and self. This battle is one I personally have been engaged in for more than a decade. Aikido does not rely on muscles and strength but concentrates the power of the whole body onto the weak point of an opponent forcing them to cooperate using their own force. Students work with each other in class practicing techniques as a community. It was very difficult to set my Western “competitive” nature aside from my initial training and not show my training opponent my own physical prowess. I compared myself to others, finding some better, others worse. This mindset impeded upon my initial progression in Aikido. I worked for a year, saved money and in 1980 I arrived in Japan, 22 years old. I didn’t know anybody and that was really tough because at that time there was no internet. I didn’t know where the dojo was, it could have been in Kyushu or Hokkaido. I didn’t even speak much English, just French, and when I arrived nobody spoke French. I went to Tokyo University to the French department and made a friend who wanted to study French and I asked her to help me find Shioda Gozo. She looked in different books and ended up finding the Yoshinkan Honbu dojo at Musashi Koganei in Tokyo. I went to the dojo and enrolled as a regular student for one month. At this time I was sharing an apartment with a young student, but the apartment was quite far away, in Saitama-ken. I had to travel two hours to get to the dojo and two hours back, which was very expensive. After one month all of my savings were gone and I’d never even seen Shioda Gozo because I was doing the beginners’ class. The next day I started and stayed for three months. I was the only foreigner at this time and after three months, although very difficult, I was still there and they saw that I wasn’t going to quit. They said, “Ok, you can stay another six months.” I was there for a year and at the end they said, “Ok, you can be uchi-deshi if you want.” That’s when I became uchi-deshi for Shioda Gozo. Traditional teaching is that you can’t teach martial arts or Aikido by explanation, it’s by feeling, it’s heart-to-heart, so, you have to be in tune with your teacher. The idea in the martial arts is that the teacher is not supposed to teach. The student is supposed to watch the teacher and take things from them. In order to do that, the student must be with the teacher as much as possible. The student has to take care of his needs. The student should focus on being in tune with the teacher and able to read any emotion. Traditional teaching is that you can’t teach martial arts or Aikido by explanation, it’s by feeling, it’s heart-to-heart, so, you have to be in tune with your teacher. You can learn without explanation, without talking. It’s a non-said kind of training. Also, you have to take uke (experience the technique from the sensei), because that is the only way to feel what the teacher is doing. That was the traditional approach. 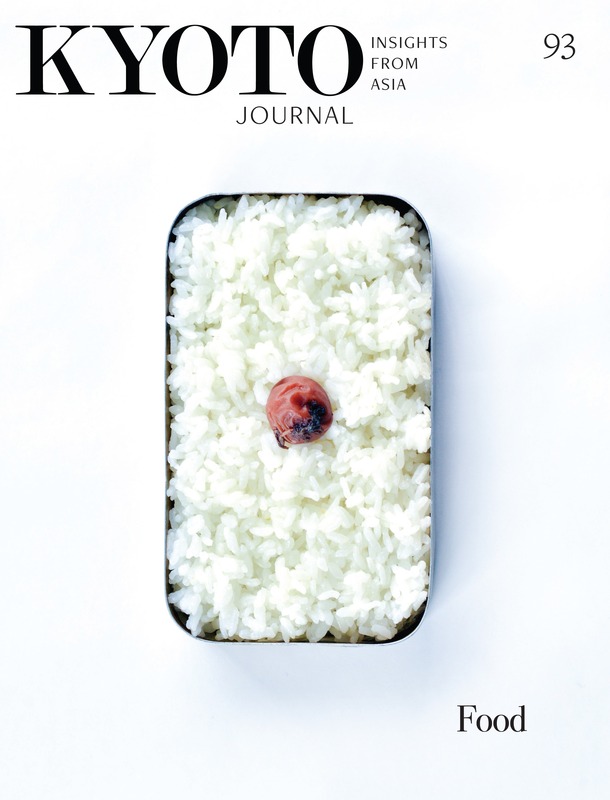 Not anybody can be uchi-deshi, you have to earn it. The uchi-deshi lived at the dojo. We would train six hours and between the training we didn’t sit down. In between and after class you have to go into the office. Shioda Gozo would be in his office and next to his was an office for administration, where all the instructors would be. The role of the uchi-deshi was to learn awareness. Awareness meaning, as an example, if you see that there is no more tea, you pour the tea at the right moment. One of the trainings that they were doing at this time, which I didn’t do because I was a foreigner, was quite interesting. The idea was to answer the phone right before it was going to ring. At the beginning, if the phone rings more than once, the idea is that you are dead. Those who let the phone ring more than once would be yelled at. Everybody would naturally rush, regardless of what they were doing when the phone rang. Some people became so good at this type of awareness that they often answered before it rang. Another interesting thing was in the office, Shioda Gozo and the instructors were in opposite rooms and the uchi-deshi were facing the front with the doors to our back. There were two doors, one at the back, one at the front and a corridor on each side with a toilet at the end. In the office you could hear talking and suddenly you would hear a door open. We didn’t know which door. We had to run to the door of the toilet just when Shioda Gozo arrived. It was all about timing and awareness because you couldn’t arrive too early or too late. Timing is very important in Aikido. You have to face that naturally and without hesitation, just at the right moment you open the door and bow, you let him in and you wait outside. Just before you open you should have met and walked with him naturally so that you are in the right mind. It takes a long time to get natural with it because you always miss something. That’s very hard training because you do it after training for six hours and your body is very tired and there is pressure, so, to be able to do that naturally, that was part of the mental training. And after that the training you prepare the bath. The ritual of the bath was also part of training with the same goal. To learn the proper distance, the proper mind and timing. So, that was the everyday training besides the initial six hours. Uchi-deshi was the opportunity to experience this balance of body and mind. I think what made me choose Aikido was probably my sensei’s personality more than the techniques. Shioda Gozo always had a very powerful laugh. I’ve never seen anyone laughing like that. It was really from inside and you could feel the energy and strength of life and always see and feel this vibrancy coming out of him. I thought if Aikido is like that, it is something valuable. One of the reasons I’m teaching the way I am now is because I have seen Shioda Gozo in two aspects of his life. The first one was when he was in his sixties. He was still very vigorous, his technique was extremely powerful and in those days it was quite ferocious. When you approached him he was very nice, but you could sense danger. I had some fear of him at that time, so I couldn’t really communicate myself to him. It was also very tense in the dojo at that time as well you could feel a strong electricity, a very strange feeling. It was very martial and something dangerous. You had to worry about yourself and be fully aware of what was going on. The most important thing for every instructor at Yoshinkan in the early days was to have a strong and military focused behavior, you had to show that you’re strong. Shioda Gozo had sponsors from the outside so there was no need for him to expand and cater to the students. He was not interested in getting a large group of students and felt that if students liked the hard training they could stay or leave. Many of Ueshiba’s students studied with him at different stages. For instance, the earlier student like Gozo Shioda and the other generation are a completely different thing. He was teaching a totally different set of things, the mindset changed before the war, during the war and after. The earlier physical training with Shioda Gozo was quite different than what I experienced at the end of his life. When I came back to Japan later, Shioda Gozo was in his seventies and quite a different person. He was an old man and a little lonely, so he wanted friends. It was difficult in Japan, because of tradition, and you couldn’t talk with your students face-to-face. The students were nervous around the teacher and had to act quiet, stand by and show distance. They couldn’t have a normal conversation with the sensei. Since I was a foreigner, these rules didn’t apply to me. We could be like father and son and he could just be a normal person. I feel very fortunate to have experienced this. Also, on the technical aspect it was quite different. At the end of his life, he was very progressed, he would throw you and when you fell, you smiled. Even though it hurt at times, the timing was so great that you didn’t feel any resistance, like you were falling by yourself and were the only one to blame. When you landed, it didn’t seem like he had done anything. It was amazing, so you wanted to ask him to do it again. When we finished class we were very energized and everybody was laughing. That is the Aikido that I want to do. The “senshusei” (specialist course) was started in the 50’s by Shioda Gozo for the riot police. The initial idea was to cultivate the police into having a very strong spirit. The best way for the younger generation to experience this intensity was to stop their duties for one year and solely practice Aikido. Generally it was voluntary and the course had about 10 officers a year who were interested in the martial arts and usually experienced in Kendo, Judo, or Karate. Shioda Gozo wasn’t very interested in expansion and just wanted to have good, strong Aikido. If people didn’t like it, they could go away, that was his feeling. He was never overly polite to students and they could stay if they wanted. When I was uchi-deshi there were a lot of people coming at that time, every year they came from April to December. In 1990, When I was at the Honbu Dojo, I noticed that there were a lot of foreign students around and they generally got very good training up to shodan (first degree black belt), and nidan (second degree black belt), but after that, they were left by themselves and there was no specific training to get them to a higher level. I thought it was a pity so in 1991, I asked Shioda Gozo permission to set up something as a pilot to the police course that would be aimed at educating foreign instructors. He liked the idea and said, “Yes, just start.” So, that’s how the foreign senshusei course initially began. The first year we got about 12 people from all kinds of different countries. Yoshinkan Aikido’s foreigner senshusei course has become very successful internationally and it is still running. And now, the new kenshusei course has started in Kyoto as well. It took me some time to realize that the challenge is what’s so important. This conflict transformation of Aikido really builds up the spirit and character, something much more important than just getting results through basic techniques. Aikido was a big challenge in the beginning because I was used to Karate and Ju-jitsu, which are very straightforward, you work and the result is right there. Aikido, at first, was very frustrating because I couldn’t do anything and I was never satisfied, there was no end, you never reach a place of satisfaction, there is always something you can’t do, or doesn’t work. Each challenge is different for each person. It took me some time to realize that the challenge is what’s so important. This conflict transformation of Aikido really builds up the spirit and character, something much more important than just getting results through basic techniques. The mission statement for the “Mugenjuku” dojo might be described in Japanese as “shizentai,” which means to become natural. It is not to strive to be a warrior, or anything that you make, but an understanding of focus where obstacles are met at the right moment. I want a dojo where people do the right thing naturally, not because they have to do it for the sake of budo. The way I like to teach Aikido now is to be focused in a natural fashion, so the strength and energy comes without thought. I am not up to teaching from up to down, very strong with a militaristic mind state. That’s great as an experience and lesson, but, that doesn’t go that far. My idea of education and teaching is that it’s not something you force. You give the student some hint and try to open up something in their heart, so that they want to get more and more. If the student isn’t ready, whatever you give them, it doesn’t go anywhere. As a teacher, you have to feel when is the right moment and give them just what they need at that time, a little something that opens up other things. My idea is that if Aikido is just to become strong and physical, I’m not going to spend my life on it and improve with that. I believe it is something much more important. At least I need to give my life to that. So, what I want is to give students some inspiration and hints so they can do their own Aikido. It works, because they seem to innovate and to do their own research. I just guide them, when I see there is something wrong I just stop them, direct, but the momentum is there and its going to work, because its not from me, it is coming from inside of them. 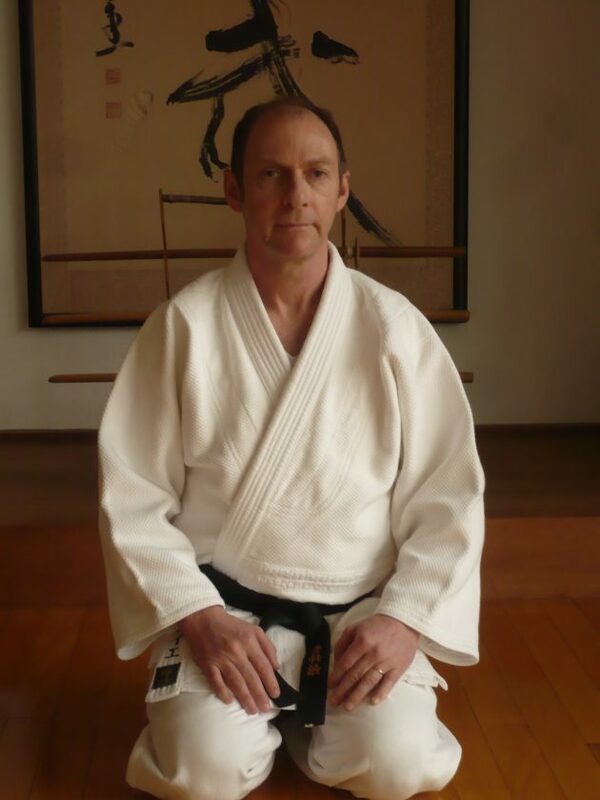 Jacques Payet is teaching Aikido in Kyoto, Japan. Click here for more information on the Kenshusei course or regular classes. Brendan Joseph Ries enjoys gathering stories from his travels. He has taught in South Africa, Turkey, and Japan. He is a writer, Aikidoist, singer/musician and student of Vajrayana Buddhism with Doug Duncan and Catherine Pawasarat.